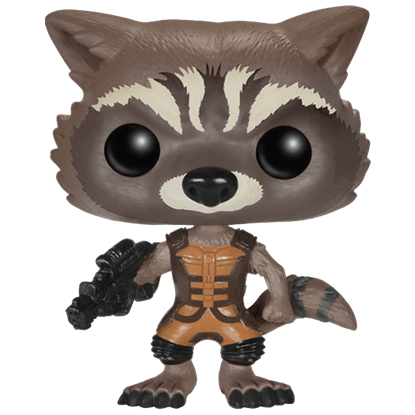 Allegedly inspired by the Beatles song Rocky Raccoon, Rocket Raccoon is a member of the Guardians of the Galaxy who, in the comics, often takes charge when Star-Lord is unavailable. 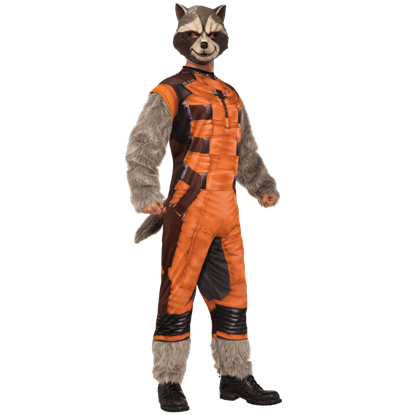 This spacefaring hero has captured the hearts of fans with his unexpected premise, and now Rocket Raccoon enthusiasts can check out Superheroes Direct for apparel and collectibles featuring this raccoon hero. Our selection includes costumes, masks, and gloves for both adults and children, while our t-shirts feature Rocket alone and in the companionship of his friends. Pick from our drinkware, statues, keychains, POP figures, accessories, and more, perfect for completing any Guardians of the Galaxy collection or for any fan of this spunky modified mammal. Aint no thing like me, except me! declares Rocket Raccoon, an expert marksman and tactician. He and Groot join the ranks of the Guardians of the Galaxy. Wear this Adult Deluxe Rocket Raccoon Costume at Halloween or any superhero event. With his sarcastic wit and intelligence, Rocket Raccoon was certain to attract fans after the Guardians of the Galaxy movie. 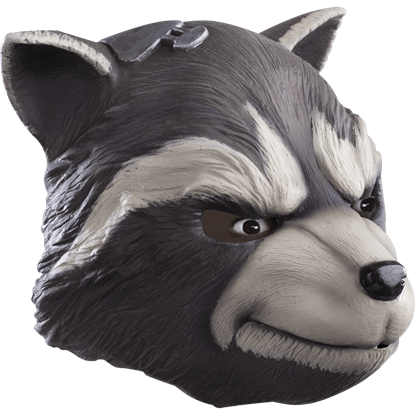 Now you can dress as this resourceful superhero with the help of the Adult Deluxe Rocket Raccoon Mask! Rocket Raccoon and his pal, Groot, won over audiences in the Guardians of the Galaxy movie. 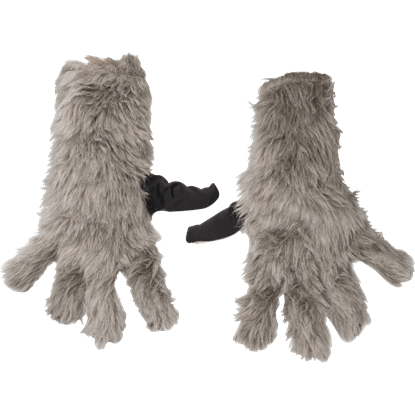 Now, you can dress up like this expert marksman and resourceful creature with fantastic details like these Adult Rocket Raccoon Gloves. Though he may look cute and cuddly, Rocket Raccoon is actually one of the most skilled and tactical marksmen in the Marvel universe. 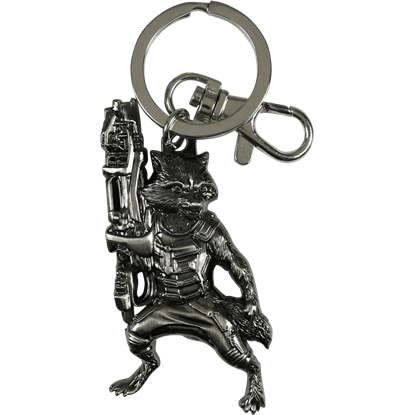 This GOTG Rocket Raccoon Keychain is a great way to display your favorite Guardian anywhere you go! Born of a race that takes things literally, the Destroyer struggles to understand the jokes of the other Guardians. 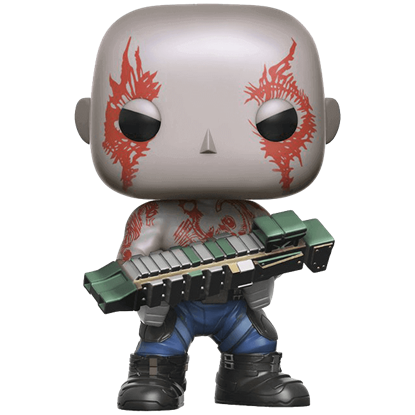 Based on the Dave Bautista portrayal, The Guardians of the Galaxy 2 Drax POP Figure depicts the aforementioned hero. Between saving the galaxy, locating long-lost parents, and raising Groot, this superhero has his hands full. Show appreciation for his snarky humor and trigger-happy personality with the Guardians of the Galaxy 2 Rocket POP Figure. Protecting the universe, locating a missing father, and providing parental guidance to Groot are among the tasks required of this superhero. 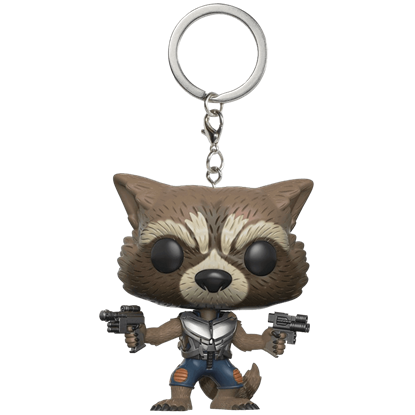 Add the management of keys to the list with the Guardians of the Galaxy 2 Rocket POP Keychain. Though he may look like a woodland creature, Rocket Raccoon is an expert marksman and master tactician. 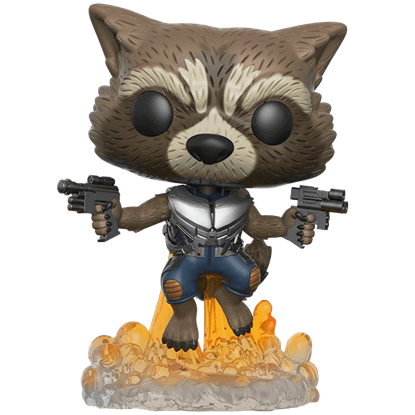 The Guardians of the Galaxy Rocket Raccoon POP Figure shows off this anthropomorphic raccoon in delightful chibi style. An intelligent creature and expert marksman, Rocket Raccoon has become a new favorite character from the movie Guardians of the Galaxy. 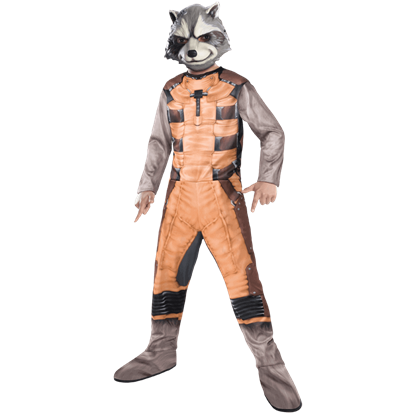 Let your child dress as Rocket this Halloween with the Kids Deluxe Rocket Raccoon Costume! He may look cute and cuddly, but Rocket Raccoon is an expert marksman with a penchant for large weaponry. 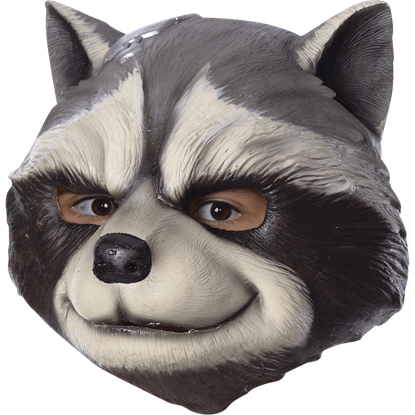 Your child will love dressing up as the sarcastic raccoon from Guardians of the Galaxy with the Kids Rocket Raccoon Costume. Rocket Raccoon won over hearts in the Guardians of the Galaxy movie alongside his pal, Groot. 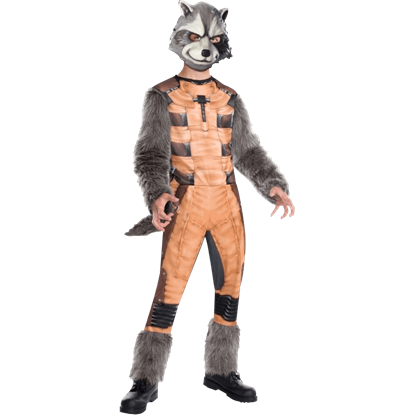 Your child can dress as this expert marksman and intelligent creature down to the smallest details with the Kids Rocket Raccoon Gloves. It is no wonder if your child adores Rocket Raccoon after seeing his snarky and intelligent character in the Guardians of the Galaxy movie! The Kids Rocket Raccoon Mask makes a great addition to a Rocket Raccoon costume this Halloween.